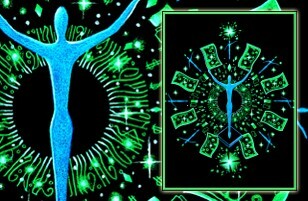 finances, health, relationship, business, intuition, creative power or your life in general! Each of the images has a specific purpose and is designed to energize and activate the viewer; simply looking at them will have a positive effect on people and their surroundings! 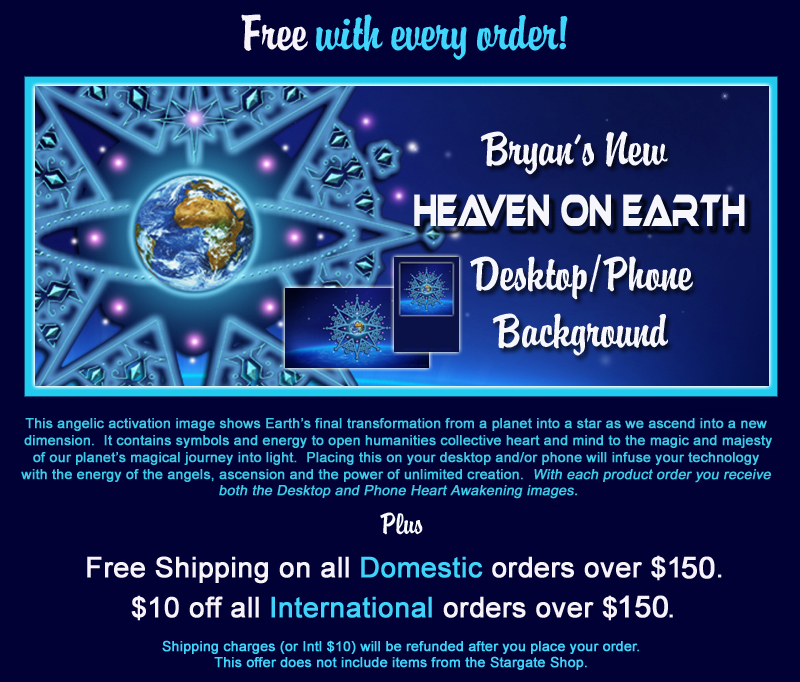 Bryan receives many of the images through dreams, visions and through his daily communications with Spirit. 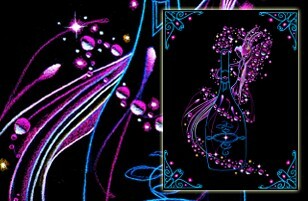 All of the original images are hand drawn with the occasional addition of digital backgrounds and slight enhancements. As he is drawing the images, he becomes aware of the meaning through mental impressions and intuition. 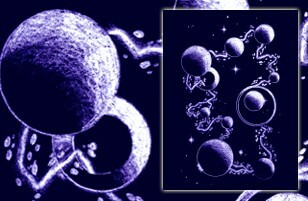 Shown below is a close-up portion of the image, plus the full image as an inset. All images are available for $7 on 8.5″ x 11″ high quality cardstock. There are many ways to choose the images…simply select the images you are attracted to or you can select them by the key word and/or description below them. Balances the body, mind and spirit; creates harmonious relations between the mind & heart; the coming together of male and female; as above, so below; sets up a strong foundation of freedom, wisdom, and clarity within the human energy field. Preparation for entrance into the Kingdoms of Light; initiation chambers of the Gods; heavenly architecture models to be built on Earth; educational portals of light. Each of the seven living temples holds a specific frequency, its own divine symbols and musical symphony of energy patterns. Awakens inner strength and creates expansion within the mind; brainstorm energy; brings forth new innovative ideas; represents the current energetic transformational state of Earth as seen through the eyes of higher dimensional non-physical beings; triggers universal wisdom & indigenous teachings within the planetary population. 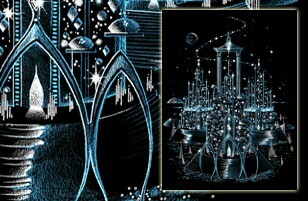 City structures underneath Mount Shasta vortex; Agartha network ‘City of Light’; star cluster pattern manifest into form; Lemurian/Atlantean temple form and design; helps one embody the energies of abundance, opulence, prosperity, creativity and unity; a divine arrangement of light frequencies and harmonics. 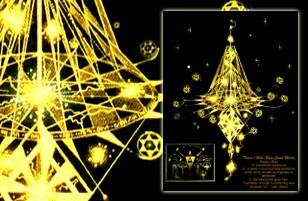 Meditation image prompting internal introspection & initiations; Shamballa pyramid template accessed through Level 12 of the Akashic Records; connected to Sirius, Andromeda & ancient Egypt; holds multidimensional information regarding Earth’s transformation; awakens memory of the Divine Plan of God. Awakens one’s Merlin Skills from former lifetimes; awakens conscious knowledge of higher guidance; allows one to grasp abstract spiritual concepts and teachings; releases individuals from the 3D trial-and-error process; 7th dimensional template encoded by the Ascended Masters. Arcturian lightship matrix; dream and waking vision enhancer; opens one’s perception to multidimensional experiences; expands the mind to new potentials and possibilities; enhances one’s local & long distance earth healing abilities; connects individuals to assistant off-planet races helping to heal & activate the Earth. Original innocence template; allows the body & consciousness to experience more joy and openness; triggers a rebirth within one’s mind and emotions; purifies the heart; creates a new appreciation and reverence for life and it’s processes; stimulates creativity. Helps to focus one’s mental body, bringing new clarity and confidence regarding decisions & perceptions; clears confusion and self-doubt; brings strength & conviction to one’s voice; assists one in accessing the non-physical aspects of the higher dimensions. 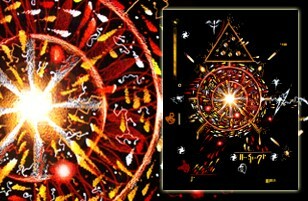 Triggers embodiment of the higher virtues & truths; brings one a new sense of freedom through spiritual transformation; facilitates a deeper connection with our ascended brothers and sisters of light and to all souls on Earth achieving mastery through their destiny; connected to the Solar Archangels, Space Federations & Ascended Masters. Sacred seal of protection, power and healing; related to ethereal royal bloodlines, the Atlantean Light Masters and the Templars; initiates internal realignment of one’s energy system; helps to connect one with and receive information from the Higher Councils of Light; divine key of grace and kingship; ignites service to humanity for the greater good; crowning glory. Atlantean symbol of beauty & light; brings forth the magnificent energy & power of Great Atlantis; restores the sacred teachings, mystical knowledge, great wisdom of the ancient Light Masters; unlocks mysteries hidden deep within the soul; brings remembrance of past lives lived in Atlantis; recalibrates the human energy field and balances the planetary grid; symbol of unity, compassion, divine service; brings physical healing and softens/balances the emotional body; key to the kingdom, glory of God manifest on Earth. The Great Barrier, a multidimensional cosmic window in deep space; promotes the feeling and experience of freedom & expansion within one’s life; the Ring Pass Not is the point of passage that can only be traversed by advanced souls who have evolved beyond limitation and separation. Individual consciousness gems, each infused with multidimensional information; allows one to find their higher path to planetary ambassadorship; assists with manifestation & completion of one’s destiny and purpose; awakens the heart’s desire; tunes one into the Divine Plan for Earth; promotes paramagnetic balance on 17 levels; balances all the meridians of the body. Higher dimensional ‘light-seeding’ matrix; infuses higher knowledge & light into the mind & cellular structure; stimulates memories of other worlds and realms; smooths complex life transitions & personal challenges. Brainstorm energy matrix; the point of creation where energy becomes matter; magnetizes higher thought-forms into physical manifestation; initiates movement into multidimensional consciousness; magnetizes one’s dreams & desires. 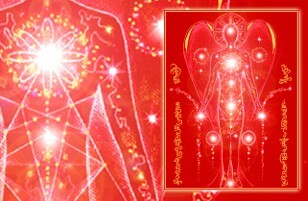 Stellar activation template for the human body; makes adjustments in the human chakratic system in order to accommodate incoming light frequencies; assists one in releasing distortions within the physical body and experiencing their Lightbody; balances the body’s meridian system & trigger points; activates the solar (external) chakras. This image was channeled from the healing temples of ancient Atlantis. 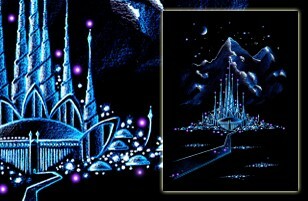 It is designed to initiate memory retrieval from your past lives on Earth and from the stars. This multidimensional matrix contains the mystical language of Atlantis, known as Vril, which will trigger past-life memories to come forward from within the subconscious and move them into the conscious mind. The image also contains the energy of the Atlantean/Egyptian Goddess and Lady Master Isis, who will help to guide you through the re-memory process to uncover your vast lineage from beyond this 3D world. Additionally, this activation will help to reconstruct and reconfigure misplaced memories and dreams, as well as enhance long and short term recollection. To experience this past-life activation, visualize the image as a mirror, with your face superimposed over the face in the image. 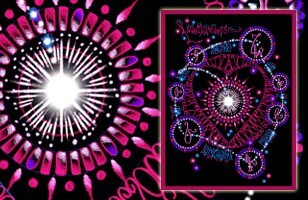 Next, use your mind to move the Vril activation symbols (bottom of image) into their corresponding colored spirals (top of the image), creating a crown of multi-colored energy around your head. This will trigger your memory veils to open and begin to reveal your ancient heritage to you. Holding the symbols in place for two to five minutes at a time will initiate full memory transfer and bring forward long forgotten remembrances of the past. You may use this activation image as often as you wish to enhance and increase the frequency, as well as the “reality” of the memories. The more it is used, the better the results! 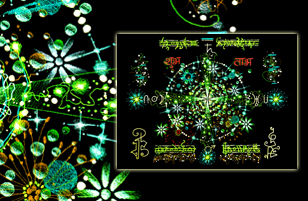 Activation chamber for the 5th dimensional galactic-human; depiction of one’s magnificent physical completion and ascent into higher consciousness; a new Ascended Master/White Flame Avatar design matrix; balances the mind, body and spirit; enlightens one’s mind and heart; linked to Shamballa and the Temple of Solomon. Vortex of passion and courage; clears 1st & 2nd chakras and regenerates reproductive system; ignites independent motivation and willpower; helps dissolve limitations regarding money & physical stability. 7D bio-mechanical technology, allowing our planet to release the 3D circuitry and incorporate new higher dimensional off-planet software; blueprint for Earth’s ascent into the higher dimensions of consciousness; awakens transformation within the body & mind; initiates full planetary upliftment & enlightenment. An angelic ‘light net’ used to clear distortions and negative patterns from the emotional body; eliminates over-sensitivity and depression; brings new positive focus & energy into one’s life and heart. A multidimensional template which holds the keys to creation & the entire historical record of our universe; accelerates and infuses the healing energies of joy, vitality, love, peace and divine grace within a person, place or thing. When activated, it is an access point where higher celestial vibrations constantly flow and permeate the realms of Earth. To Initiate Healing and Transformation: Begin by running your right hand in a clockwise motion about three inches above the template. This will activate and prepare your Solar Disk for use. Second, state your intention (what you wish to do). This image can also be used to transform negative emotions or old thought patterns. You can transform fear into courage and strength & anger into love, understanding and acceptance. The Solar Disk accelerator operates solely through your will and intent and will work immediately upon your command. New ‘fire-letter’ activation sequences for transforming the body into light; connected to Jesus, the Sea of Galilee and the Andromeda star system; revitalizes the human energy systems; allows one to trust and have faith in the divine processes & timing. This Angel Seal contains the creative energy of the Renaissance and is connected to Archangel Metatron and the Throne Angels. 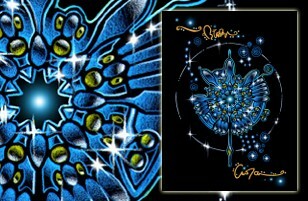 Energetically placing/projecting this image on any object will keep it protected by the Angels. You can also place it over a doorway or telepathically imprint it on your creative projects, artwork, music, books and products. That mystical, magical well-spring of eternal life known to us as the ‘Fountain of Youth’ is a real creation which lies within the higher dimensions of Earth. This magnificent fountain is always available to us at any time through our spiritual perception and inner ‘mind’s eye’. Throughout the eons of time individuals have been accessing this divine living creation in order to turn back the decades of time; ‘youthening’ their mind, spirit and most of all their physical appearance. The waters from this ever-flowing creation regenerate rejuvenate and refresh the human body on many levels and, if visualized regularly, will erase the signs of aging, stress and angst from any living system. Truly, this alchemical ‘Fountain of Youth’ is accessible to all who wish to renew their mind, body and spirit and bring its ever-flowing magic into their lives. To enter the inner sanctum of the ‘Fountain of Youth’, all you need to do is connect with this image two or three times a day, in the physical or in your mind. Ask that its alchemical waters flow in, through and around you. See yourself drinking from its divine, scintillating pool of magical water. Visualize all the signs of aging and stress disappearing before your eyes. Know absolutely that you are turning back time and anchoring your ever-youthful, ascended lightbody. You are a magnificent creation of light! Cuts through all illusions within an individual’s consciousness and dissolves any imbalanced etheric cording within one’s energy field; calls forth the power of the Archangels; repels negative energy from entering one’s auric field. Creates unprecedented consciousness expansion and passion within the human heart; assists one in rekindling the energy of love & friendship within; ‘Vril Force’ activation, igniting and intensifying the divine flames with the chakra system. Enhances strength, bravery, confidence, and determination within an individual; brings one into alignment with destiny and their true purpose; increases ability to channel energy into one clear direction for the achievement or manifestation of one goal; uncovers the mysteries and secrets within one’s soul; connected to Joan of Arc and the Crusaders. Legend has it that faeries assist in bringing joy, happiness, inspiration and laughter to all who cross their path. 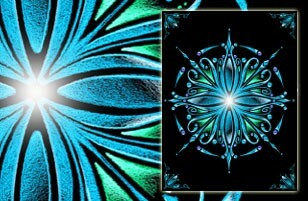 This image will bring exuberance, bubbliness and effervescence to your energy field and personality. It will also help to renew and refresh the life-path you have chosen and release you from any ‘physical world’ blockages you are encountering. 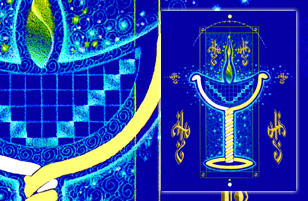 El Morya, Master Chohan & Teacher of the 1st Ray; infuses the Blue Ray of goodwill, faith and magic into one’s heart; helps to lift one’s internal energy system and ‘light quotient’ to new levels of endurance and spiritual power; provides a ‘light at the end of the tunnel’ during challenging times. Kuthumi, World Teacher & Master Chohan of the 2nd Ray; provides one with sharp focus and unwavering concentration during meditation; helps to balance the endocrine and nervous systems; assists one to sift through vast amounts of data to receive the pearls of wisdom contained within. Kwan-Yin, Goddess of Mercy & Compassionate Rebel; heightens one’s awareness of the ethereal visions & worlds; creates inner peace and emotional clarity; brings forth one’s unique originality and inner strength connected with their destiny; aligns one with servitude, patience and silence. This image will assist you in designing and maintaining your highest potential in regards to success and financial prosperity. It will connect you energetically with all beings and energies (both physical and non-physical), which will assist you in achieving your goals and dreams. Meditation on this image will also create a magnetizing effect within your auric field, drawing money and abundance to you. To use, simply visualize yourself in the center of the image; feel and see the energy of money flowing to you from every direction. As your vision becomes stronger, allow the flow of money to become a steady continuous stream of energy that is always coming to you, even while you sleep at night. Brings joy and resurrection to the soul and spirit; allows one to perceive the animated personalities of inanimate objects (brooms, mops, dishes, furniture, etc.) thus bringing joy and inspiration to mundane daily tasks; releases any mental and emotional constraints in, through and around the human heart. Connected to the elemental Guardians of Fire, including the volcano spirits and ‘sun ray’ devas; awakens the fire of passion within the heart while burning up negative and limiting karmic patterns within the soul matrix; enlivens, exhilarates and accelerates all of the higher senses to experience joy, excitement and physical passion for living and loving. Connected to Merlin and the Elementals, this is a matrix for balancing and grounding the human energy field and physical body. This image also helps to align the spinal column and balance the two hemispheres of the brain. To use, concentrate on the spinning motion of the two floral suns, then close your eyes and visualize the spinning flowers horizontally equalizing. This will create a shift within your physical and energetic bodies, adjusting and stabilizing all systems. 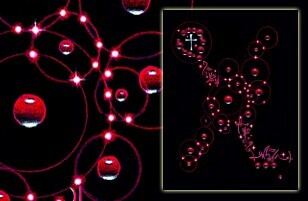 The power and wisdom of Jesus Christ is contained within the droplets of blood depicted and infused into this image. The energetic and physical structure of this blood has been known throughout the ages to spontaneously heal, trigger instantaneous enlightenment and protect one against the forces of darkness. This powerful blood can be called upon by faith, but is magnified ten-fold by utilizing this accelerator. In essence, when you are looking at or meditating upon this image, you will automatically begin to absorb and embody the qualities of this powerful atomic God-substance. This template represents one of the most ancient transcriptions of the ‘Language of Light’. It is considered a most precious artifact by many races throughout this universe. 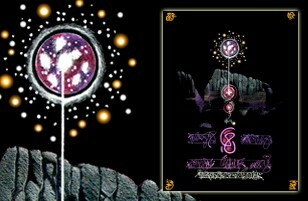 It contains a sound and image recording of the original Sirian race’s journey to colonize Venus and Earth (Egypt). This template can be used to access the portals at the Giza Plateau and Temple of Isis, as well as give passage through the Hall of Records to the Sirian star system. It will also promote the awakening of the Third Eye and prompt one to explore their own ‘seed’ origins. 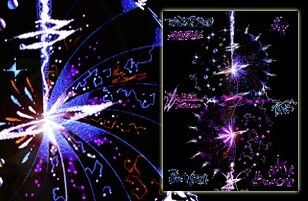 Linked to the Angels of Mercy and Compassion, this image’s song spans many dimensions of time and space. It reminds the spirit of its true origin and over time begins to facilitate a more conscious, joyous way of living. 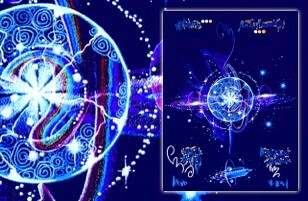 The high frequency colors in this image are extremely important and allow one to connect with the higher electron bodies and Higher Self. This accelerator represents one of the most common connection points to the energy of Mother Mary and the purity & clarity of the Blue Ray. It is one of the supreme symbolic “Seals of Light” continually being projected through our planet, both as a healing force and as a cleansing ray of light. Visualize or energetically infuse this “Seal of Mary” into your heart chakra, initiating a lift in consciousness and an infusion of compassion, grace and purity. This triangular emblem, which represents ‘universal peace’, is connected to the United Federation of Planets and the Ashtar Command. These off-world organizations are comprised of representatives from many planets and dimensions within and beyond our own galaxy. Their purpose is one of space exploration, research, education, spiritual development and the protection of many worlds such as our planet Earth. This ‘Christed’ emblem is an electronic symbol which transmits information and energy directly from the Federation to both on and off-planet personnel as well as those desiring to make a stronger connection with our brothers and sisters from space. 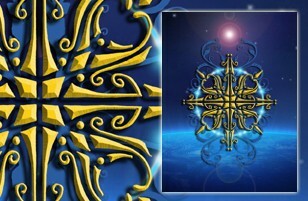 Connecting with this image will promote ongoing contact with many extraterrestrial ‘Emissaries of Light’ who are visiting Earth at this time to help raise spiritual awareness and initiate our planet’s participation into the Federation association. Activates the inner Lightbody grids and higher chakras; allows one to perceive, acknowledge and embody their unique ‘true’ self; brings a positive sense of awareness & perspective to the mind; releases the endless cycling of limiting thought forms and emotional fears from one’s consciousness. Currently we are all experiencing great changes, both in our consciousness and around our planet. This is part of a divinely orchestrated process which the Earth and her inhabitants are going through, in order to return to the original perfect pattern of peace, unity and God-consciousness. This image symbolically depicts the challenges we are faced with at this time. Meditation on this image will help to balance any fears or worries about the future in addition to protecting our physical, mental and emotional bodies from negative or limiting projections. It is important to visualize yourself moving through the stone doorway and releasing/cleansing everything inside of you that is resistant to your highest potential. This image is a ‘psychic photograph’ I quickly sketched while I was remote-viewing a number of different locations around the planet. I simply asked to time-travel to Mars and view the building of the famous ‘Cydonia Pyramid Complex’. What I found was nothing less than an astonishing aerial show, which included levitation, spaceships, flying probes and a huge circular interdimensional gateway. This image was created to clear the manipulative “Orion Princess Code” as well as dissolve all different types of ego issues blocking true freedom and mastery. It works simply by visualizing the blue circular wheels spinning inside of your solar plexus/stomach area and bringing them up through the heart. 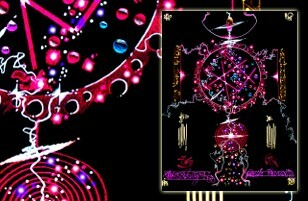 This will begin to clear all issues including strong feelings of entitlement, dominance, revenge and false power. It can help us all to be humble in the presence of God and to embody gratefulness and thankfulness in all situations. The “Orion Princess Code” is in actuality a mode of operation, which is either karmically or culturally implanted within an individual (usually women) at a very young age. Traits of this Princess Code can be a combination of the following: the need for constant attention and perpetual feelings of entitlement; control and dominance issues; endless complaining; extreme preferences regarding everything; disrespect, jealousy and gossiping of others; lack of gratitude and common courtesy; the need to always be in charge or be looked at as special and the tendency to wander without any physical sense of direction. In addition, many of these individuals will often manifest illusionary ‘so-called’ debilitating illnesses in order for others to serve them. The only way that this Princess Code can be dissolved from the blueprint is to exhibit constant and ‘real’ humbleness and gratitude toward others and God at all times. Pleiadian Auric Force-Field Technology diagram; increases one’s healing powers; sparks new creative ideas and brings the purest inspiration to all areas of life; inspires more focus on creating through the love vibration; increases the ability to manifest projects with great success. Focusing on this image will create an acceleration of light in one’s energy field, activating the Lightbody and increasing one’s light quotient. This accelerator also uplifts & purifies thoughts and emotions, enabling clearer, sharper focus, concentration & the ability to download multidimensional information very quickly. 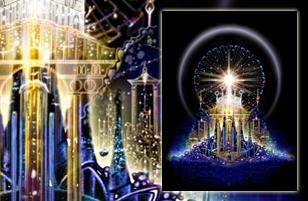 This is the fabled etheric city of the Ascended Masters. It is a point of light on our planet, which serves as the primary transmission location for all celestial dispensations and assistance programs. This image cleanses and purifies the mind and emotions, preparing individuals for transmutation into the higher consciousness of 5D, 6D and 7D. Gazing upon this image will also assist in triggering remembrance of home and one’s celestial ancestry. Guided over by the Extraterrestrial Emissaries of Light, this ‘magnetic’ ring of nine planets is one of the most sacred places in our known universe. It resides in its own ‘created’ gravitational field in the 6th dimension, behind the Sirius star system. This ring of planets is the retreat and meeting place of the many interplanetary ambassadors who are part of the United Galactic Federation. 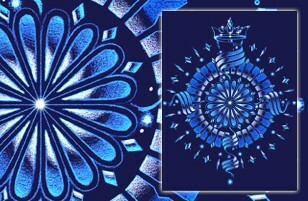 Meditating on this image will connect you with the interplanetary councils and inner chambers of the primary meeting structures within this sacred ring. Extended contemplation will also allow you to understand all of the new interdimensional laws and physics which will govern our world in the new Golden Age. Also known as ‘The Blue Essence’ and ‘Flame of Creation’, this legendary and very elusive substance appears during all initial creational moments. This includes the births of all beings, planets and universes. 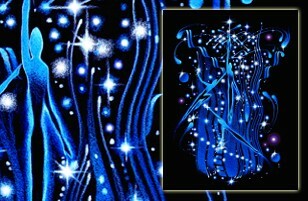 This image depicts and is infused with 100% of the Blue Star Fire essence. Working with this image will energetically infuse your body & consciousness and summon the purest primal aspects of your soul essence. In addition, this accelerator should be present during the initial stages of the creation of any project or physical birth. It will infuse and awaken new creativity within all who view and use it. Connected to the gnomes, dwarves and leprechauns; initiates ‘stream of light’ protection around one’s person and immediate companions; raises the ‘Cone of Power’, so as to deflect and block all questionable beings and frequencies; summons the Principality and Destroyer Angels during times of great chaos and transition. Merrily, merrily, merrily, merrily, life is but a dream!, a lucky charm this is, yes! This charm moves one into conscious interaction with the proper, joyful and protected streams of energy. It allows one to understand the consequences of moving off the true path. When meditated upon, this talisman will project its etheric image around your heart in order to show you the way and align you with the lucky universal streams of energy. High atop a mystical mountain, a temple of healing and light is transformed into a magnificent palace of transfiguration and manifestation. St Germain himself has reconfigured this etheric creation to connect all of humanity with the new divine blueprints for Earth in the 7th Golden Age. The journey to this palace should first begin in the mind through careful contemplation of the image’s colors and reflection. 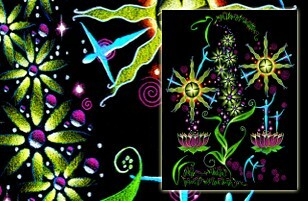 After a time the spiritual and emotional bodies will engage the magic contained within. The physical body will be the last to enter and partake in the stunning visual treats that await each visitor. The first stop….a grand, masked ball in the center of the palace…followed by a tour led by St Germain through the gilded hallways and rooms holding the secrets & mysteries of all creation. Finally, you will enter an elaborate dining hall, complete with an elegant, abundant buffet, not seen on this planet since the time of Atlantis. Allow your senses to partake in the mystery and glory that is St. Germain’s Magic Castle. 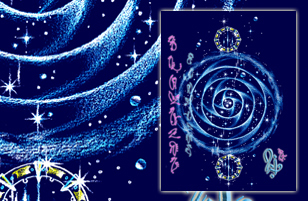 Enables one to speak the truth and help others to understand spiritual concepts; this ‘Divine Languaging’ amulet activates higher dimensional voice patterns and tonal vibrations; clears miscommunication between friends, family members and professional colleagues regarding one’s views and lifestyle. Connected to the Fairy and Elemental kingdoms, this enchanted amulet reminds us of our spiritual missions and duties here on Earth. It helps to connect individuals with their innate intuitive and creative skills, in order to apply the higher spiritual concepts on the physical plane. 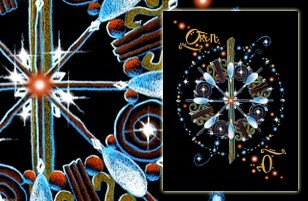 It will also bring a sense of alliance and support within, regarding your etheric guidance and companions. Meditation on this amulet will begin cycling it’s transformational magic through your energy field and allow you to experience the fullness of its powers. Promotes and strengthens one’s connection with the eternal freedom and peace of the ‘new’ millenium; allows one to feel a sense of internal power and strength through the many twists and turns of life; releases struggle and strife from the mind, allowing one to move forward quickly and effortlessly into the future; ignites the essence of love within the mind and heart; connected to St Germain, the Seven Sacraments and the Seven Seals of Christ. Brought forth by the Pleiadian Emissaries of Light, this “Christed”, etheric healing crown will expand your consciousness and enhance your healing capacity and abilities. It is connected to many dimensions and planes of existence, allowing you to receive and transmit high-velocity energy waves into the grids of Earth. To use, visualize the crown just above your head or in your hands. Allow its high frequencies to clear your channels and begin downloading new and expansive energies into your auric field. This accelerator is a specific high-alchemy rejuvenation pattern for energizing your mind, enhancing memory and expanding psychic perception. When viewed, the image’s energy will etherically rise-off the page and spin through your mind…lifting, inspiring and tuning you in to the often unnoticed and subtle magical happenings all around you. It will also help to keep your mental body balanced and in a state of relaxed receptivity. This image was brought through by the Fairies of the Sliver Ray and the Leprechauns; it should be viewed in conjunction with any type of energy work to make the magic happen! Connected to the ancient Butterfly People, the Lady Bugs & the Fairies of the Silver Ray; shows the intricate and complex butterfly world of color, light and patterns, which brings new possibilities and self-transfiguration into one’s life; triggers memory of past lives within the elemental kingdoms; opens etheric, 4th dimensional channels and subtle perceptive centers within the human body. Enhances one’s intuitive and telepathic communication skills; promotes multidimensional contact and assists one in understanding and decoding the various complexities and synchronicities occurring in their lives; releases fear and old/dated inner programming, while allowing one to be receptive and open to new ideas and abstract concepts; increases the frequency of telepathic messages and subspace transmissions; connected to Andromeda and the Galactic Councils. To use, simply look at or meditate with this image (at any angle) once a day, a few times a week. 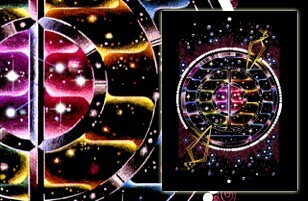 The image’s design is a reconfiguration tool and consciousness transmitter, which will upgrade and recalibrate your internal telepathic and psychic software to allow quicker and clearer message reception, decryption and return transmissions to and from the Spiritual Hierarchy, the Galactic Command and a variety of extraterrestrial light-based cultures. Through life we experience divine mortality in all of its simplicities and complexities. Through our minds we shape the world around us and the future of things to come. Through our hearts we find the way to live in grace and to become a light for others. Through the gentle guidance of Spirit we are reminded of the purpose of our coming and the direction for which we are destined to travel. Through change and transition we find hope and humility, allowing us to grow in new directions and truly understand the plight of humanity. Through friendship we form an unbreakable yet often fragile connection, which will live on eternally throughout the passage of time. Through our children we remember and return to a place of wonder, excitement and inspiration that is the true gift of life. Through faith we live the journey of resurrection and begin the process of communion within ourselves. Through our universal desire for peace we unite and receive the blessing of the Creator. With these understandings, we re-ignite the flames of compassion and freedom; leading us to a new destination and awakening the many generations to come. The image’s roses illustrate the multi-cultural flowering and awaking of humanity, while the golden ribbons represent the ‘consciousness breakthrough’ presently occurring here on Earth. Additionally, the stars depict the celestial guidance and support we have at this time, while the doves represent our freedom and ultimate journey to peace. 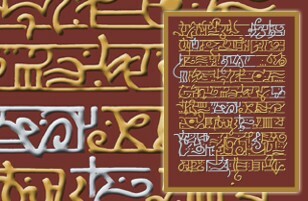 Technology Transmission from the Ashtar Command Channeled through the Ashtar Command, this interdimensional mathematical template holds the missing link to understanding and creating ‘anti-gravity’ technology. The key lies in the energy pattern and design configuration, brought forward through the multidimensional stargate language from Alcyone. Technology Transmission from the Ashtar Command Channeled through the Ashtar Command, this interdimensional mathematical template holds the missing link to understanding and creating ‘free-energy’ technology. The key lies in the energy pattern and design configuration, brought forward through the multidimensional stargate language from Alcyone. Technology Transmission from the Ashtar Command Channeled through the Ashtar Command, this interdimensional mathematical template holds the missing link to understanding and creating ‘teleportation’ technology. The key lies in the energy pattern and design configuration, brought forward through the multidimensional stargate language from Alcyone. By meditating with this image each day for approximately three months, the mystery will be revealed regarding the how to’s of creating teleportation options and technologies, similar to the ones used by our space brothers and sisters. As you are assimilating the template, it will upgrade your consciousness and thought processes to a new level of awareness where the impossible becomes possible. This image is also linked to Nikola Tesla and Alpha Centuri. The first page in the ‘Book of Life’ begins with God’s Divine Plan for humanity and the story of the new Golden Age. This Plan is being overseen by hosts of Angels, Ascended Masters and many great luminous beings who are here to assist us on our journey into higher consciousness. 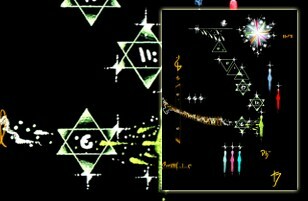 The imagery and symbols represent the harmonics and destiny of the new Earth-Star ‘Terra’; a new dimension of light, sound, healing and creation. This accelerator awakens one to their divine heritage and initiates the reuniting of all twin flames within this sphere of existence. Created through the gentle magic of Lemurian dreamtime alchemy, this image heralds the return of the Galactic Brother and Sisterhoods of Light. It carries the energy and power of 1000 suns and is also intimately connected to many ancient, indigenous cultures and their connections to the cosmos. Furthermore, this human-potential accelerator provides an access point to all of the sacred sites and energetic vortexes on Earth, as well as all hidden time-capsules which contain the keys to our galactic origins. To use, meditate on the central spiral and allow your consciousness to enter the Thousand Suns gateway, stating your destination and intention. As you do this, your mind will begin to drift for a moment and then begin its connection with the intended destination. Be aware that the imagery or pieces of information may seem abstract or fragmented at first, but the whole picture will unfold the more you connect with the image. These codes are part of a larger symbol-field of universal, intergalactic energy and data transmissions which are understood and received at the soul level by all living beings including humans, animals, plants, crystals and planets. These Master Codes number in the hundreds and are constantly evolving and assisting a wide variety of life-forms within our universe. The symbols can travel vast distances at the speed of light and will reconfigure themselves according to the vibration of the receiver. This specific configuration can be used for transforming, upgrading and healing the mental, physical, emotional and spiritual bodies through meditation. 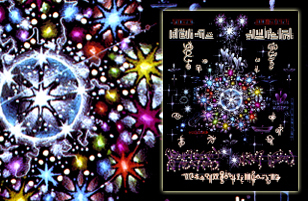 Individually, the codes can be focused upon to access the larger 6D symbol-field and facilitate telepathic contact with other civilizations and life-forms in the past, present or future. These codes are connected to the Metatronic Field of Light and the Galactic Federation. Sacred geometry can be described as the basic underlying patterns and building blocks of all living things in existence, including our human bodies. Study and meditation allow certain geometrical forms to activate and awaken our consciousness through their multidimensionality; this, in turn helps us to gain insight into the scientific, philosophical, psychological, aesthetic, and mystical laws of the universe. 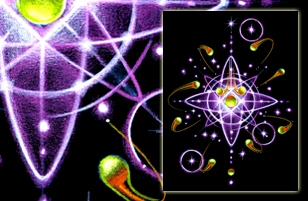 In addition to the basic sacred geometry image, this accelerator contains a special, magical design which overlays the geometry and unlocks its secrets. Sacred geometry can be described as the basic underlying patterns and building blocks of all living things in existence, including our human bodies. Study and meditation allow certain geometrical forms to activate and awaken our consciousness through their multidimensionality; this, in turn helps us to gain insight into the scientific, philosophical, psychological, aesthetic, and mystical laws of the universe. 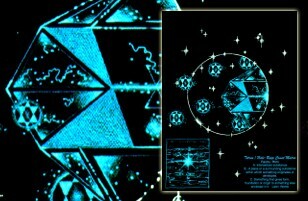 In addition to the basic sacred geometry image, this accelerator contains a special magical design which overlays the geometry and unlocks its secrets. The Sri Yantra is a sacred, geometrical configuration formed by nine interlocking triangles that surround and radiate out from the center point; the junction between the physical universe and its unmanifest source. It represents Sri Lakshmi, the goddess of abundance in geometric form. It also represents Tripura Sundari, “the beauty of the three worlds.” Four of the triangles point upwards, representing Shiva or the Masculine. Five of these triangles point downwards, representing Shakti or the Feminine. Thus, the Sri Yantra also represents the union of Masculine and Feminine Divine. Together the nine triangles are interlaced in such a way as to form 43 smaller triangles in a web, symbolic of the entire cosmos or a womb, symbolic of creation. This is surrounded by a lotus of eight petals, a lotus of sixteen petals, and an earth square resembling a temple with four doors. The Metatron’s Cube sacred geometry represents magic, alchemy and resurrection. Although it is similar to the magic square, the cryptex and many mathematical codes, it is the ultimate magical container. Very simply, it is the box and the incubator in which the seed of First Light is born; the concept by which we believe in resurrection and ascension. Among its attributes are the three directions of up and down, side to side, and front to back, with the concept of a cube within a cube. 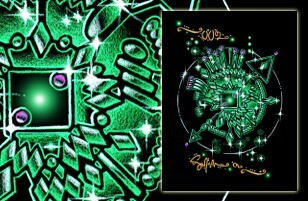 This geometric design allows you to access your own innate creativity and the alchemical processes for original design. 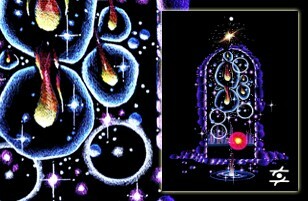 To access this magical portal, focus on it for a few moments during quiet meditation. In your mind’s eye, visualize the language of light design spinning in, through and around the geometry, unlocking its secrets and unfolding the mystery within your mind. Non-localized consciousness can be described as a state of being, communicating or transmitting in which your body is anchored in one location, but you mind, consciousness and energy are traveling, broadcasting and/or working from another dimension of space and time. This often happens spontaneously when people are channeling information from other aspects of themselves either from the past, present or future from Earth or another planet, realm or dimension. However, at this time in history, many spiritually awakened humans are now experiencing this phenomena more frequently within their daily lives. The reason is that as our consciousness upgrades, more of our energy moves into a new and higher stream of light, known as the new Golden Age. 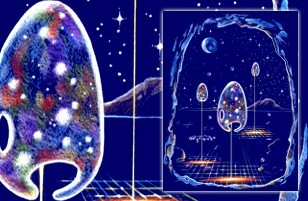 Subsequently, as our consciousness moves upward through these veils, we often find ourselves transmitting and communicating from the new location, which in our perception would be from the near future. 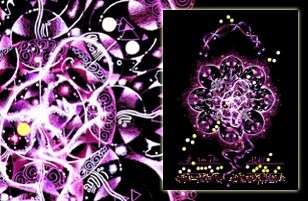 Connected to Walt Disney and the Hathors this divine template reveals the alchemical fusion created through the birth of sound and light. Its purpose is to infuse the frequency of balance and harmony within the human-elemental energy field as well as enhance one’s ability to channel music from the higher dimensions. Additionally, the image assists in awakening one’s latent musical gifts and acts as a harmonizer between the hemispheres of the brain. In essence, it is a glimpse of one of the ‘Master Frequency’ blueprints which resonates at the vibration of 12 x 12 within the eternal Circle of Life. This design is a consciousness symbol from beyond the great barrier, sent through hyperspace from the future to Earth from Terra, our ascended planet. This image resonates the light of God and the dawning of the new Golden Age; beckoning us forward to receive the knowledge of creation and multidimensional universal connection which is our birthright as sons and daughters of God. 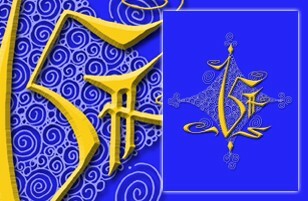 This design is linked to the Elohim, the Ascended Masters and the Founders of our universe. Upon viewing, this ethereal emanation from Terra connects one with the immortal flower of life whose living form resides within the ‘Golden Palace of Eternal Light’ on Terra. Meditation upon this image allows one’s heart-flame to ignite and receive an infusion of the Holy Spirit; opening one’s heart to love & compassion on a more universal and expanded level. Meditation on this image will also draw into the heart the light of truth, positivity and excitement for what the future will bring. This design is a consciousness symbol from beyond the great barrier, sent through hyperspace from the future to Earth directly from Terra, our ascended planet. This image resonates the light of God and the dawning of the new Golden Age; beckoning us forward to receive the knowledge of creation and multidimensional universal connection which is our birthright as sons and daughters of God. 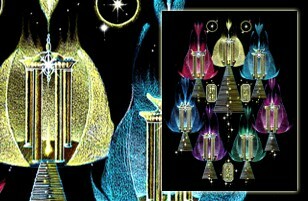 This design is linked to the Elohim, the Ascended Masters and the Founders of our universe. Upon viewing, this ethereal emanation from Terra allows the mind to soar and awaken like never before, creating new thought-forms and expanding the mechanics and mathematics of the mental body. Through meditation this design will transport you directly into the ‘Temple of Illumination’ upon Terra, connecting you with the expanded Akashic Record library and a myriad of other wondrous, etheric, universal databanks. Pane #1 – Upper Left: The parts of ourselves that we see and others see…i.e. things that are universally known to ourselves and others (such as gender & skin color). Pane #2 – Upper Right: The aspects that others see but we are not aware of….i.e. personal blind spots and personality traits. Pane #3 – Lower Left: Our private space, which we know but keep from others…i.e. personal secrets about ourselves and our lives that we do not share with others. Pane #4 – Lower Right: The most mysterious room in that the unconscious or subconscious part of us is neither seen by ourselves nor others…i.e. The Unknown. Upon viewing, this ethereal emanation from Terra opens the creative doorways within one’s consciousness, allowing an infusion of divine ideas and creative mental sequences to occur within the mind and heart. The design acts as a beacon for creative energy and instigates creative vision and the ‘creative eye’ within all projects, situations and collaborations. This image is a divine ‘temple-form’ blueprint from Shambala showing one of the new ‘Golden Age’ structures for 5D planet earth. These blueprints are actually holographic projections which travel through the planetary chakra system and emerge through the crown center into the minds of the blueprint creators and designers for construction. This image will enhance one’s manifestation and alchemy powers and awaken one to new pathways and options within their own unique destiny blueprint. It also accelerates the process of physical transfiguration, while expanding linear perception of time and space within one’s mind. ‘String Magic’ is a psychic/mental technique that anyone can use to draw to themselves anything they wish; be it money, friends, happiness, a new car, etc. String Magic can also be used to find lost items and missing people or if you desire, it will bring back full recollection of any fond memories of the past in vivid color and detail. To use simply visualize yourself as the figure in this image and connect with the sting of light moving through you from the past, present and future. Continually visualize this string magnetizing to you all of the things you desire and wish for. Periodically throughout the day, see in your mind’s eye the divine string drawing those things closer and closer until you receive them on a mental, physical, emotional and or spiritual level. Our ‘dream-bodies’ reside in a realm of consciousness which does not contain the limitations or boundaries of our normal 3D Earth bodies and life. To clarify, our dream-bodies are aspects of ourselves that assist us by retrieving information and processing data brought in during our waking state. In addition, these bodies are able to change shape, size and color according to where they are going and what directives they are being given by the Higher Self. Subsequently, when we move from the waking state into the sleep state of awareness, our dream-bodies come alive and journey unencumbered into many worlds and dimensions beyond space and time. 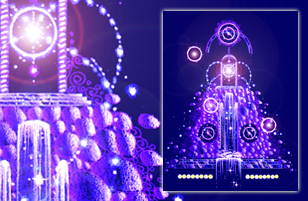 The Dream Accelerator image will help to connect you to your many dream-bodies, which await animation when you retire for a short rest or a long period of sleep. This accelerator can be placed by your bed in order to enhance dreams and the information that is flowing into your conscious waking mind as you transition from the various states of consciousness. 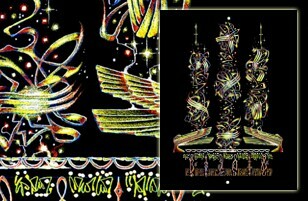 You may find, as I do, that your dream-bodies stand on beautiful multicolored pillars within your subconscious mind. As you fall asleep, spiraling time tunnels begin to appear and the dream-bodies awaken & travel through these vast portals. The golden symbols on this image will assist in aligning you with the various purposes of your own personal dream-bodies, as well as help you to remember the otherworldly journeys as you awaken. 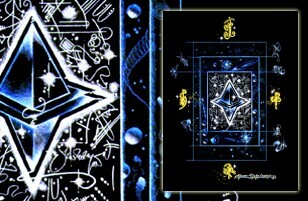 A diamond manifestation matrix linked to Camelot, St. Germain and the Seven Rays of God; activates the magical matrixes within one’s heart and mind; directs one’s Spirit to connect with the higher forms of alchemical manifestation; activates the miracle healing powers within the palms of one’s hands. 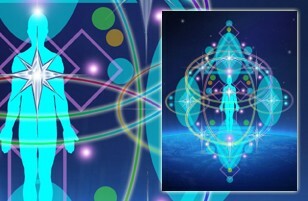 Channeled from the Galactic Command and the Sirian Council, this image assists in alleviating fear concerning the current global situations; aligns one with the Divine Plan and the higher purpose of humanity; shows the support emanating from the higher dimensions; aligns one with their spiritual guides on the etheric (multi-dimensional) levels; brings a sense of joy and security into one’s life. 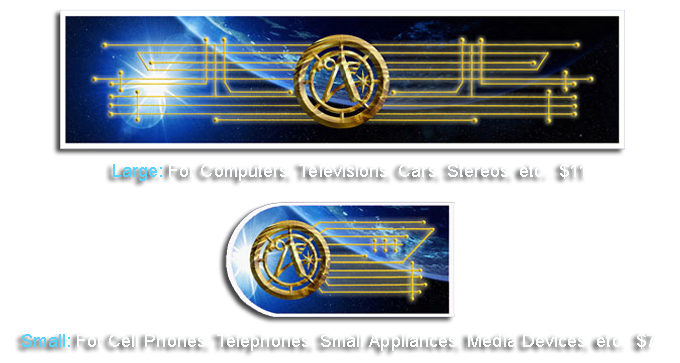 Designed by the Ashtar Command, Technology Tags transmute harmful, energetic signals as well as upgrade all types of electronic devices. 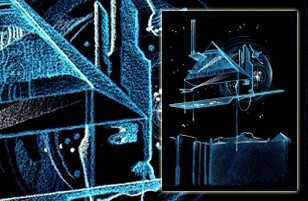 Simply affixing a tag on the desired apparatus creates a crystal clear ‘lock-on’ signal beam directly to the Command’s main computer system on their primary Star Fleet ship. This link-up allows those using the device to receive information directly from the Command without interference. 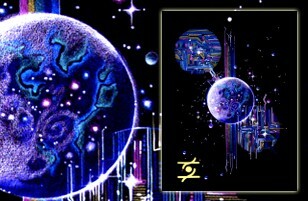 Allows one to telepathically “tap” the planetary grid and retrieve information regarding their current mission and life’s path; represents a completed cycle, the Alpha and the Omega; holds the codes which will trigger the etheric reconstruction of Earth for the new Golden Age; activates cellular memory of rebirth and the truth of Ascension! The Three-Fold Flame represents the balance and embodiment of power, love and wisdom. This Divine etheric tool transforms resistance and fear, while promoting unification and harmony. It is also a chakra system and Vril Force/kundalini balancer. 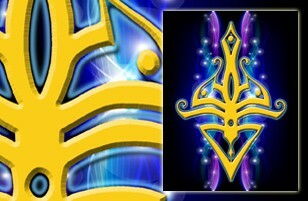 This is a symbol used by the Ashtar and Rainbow Galactic Commands who are the guardians of our solar system. The energy of this image activates the Third Eye and awakens one to their divine service for planet Earth. 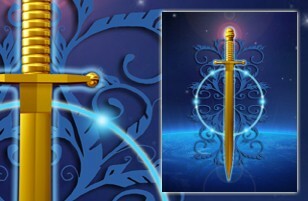 It also assists in connecting us with the Guardian Forces that are assisting Earth at this time. These little whimsical devas which reside within the cocoa bean, preside over all of the wonderful, tantalizing confections which spring from this plant. They are constantly providing many individuals with amazing ideas in order to further diversify the legend of ‘chocolate’ here on Earth. Upon entering my home, the Chocolate devas were completely preoccupied with each other and their work. They spoke only ‘speedy’ French and stayed for but a few moments. This image will awaken many hidden passions within you and give you the impetus to seek out a diverse array of exhilarating life experiences. It will help you to expand your options regarding what is possible and lead you into areas of expression you never thought existed. One of the higher-dimensional pyramid complexes to be manifest on Earth in the coming Golden Age; an Akashic library of multidimensional information; expands one’s understanding of life’s processes on Earth; assists one in opening to their personal power and courage. 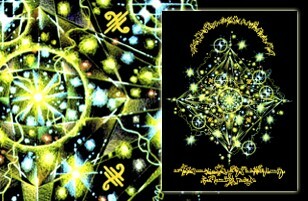 Linked to the Kaballah, Enoch and the Recording Angels, this image activates the magical Sephiroth template within the human body, summoning the Higher Self to manifest itself on the physical level; re-aligns one with their true destiny and purpose, giving them a sense of their highest potential while grounding their gifts on a practical/physical level. 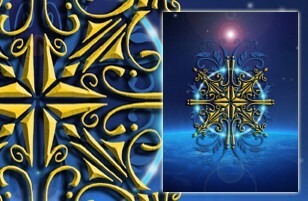 Connected to Atlantis, this ancient Earth-based ‘angelic’ language heralds the coming of a majestic new era of peace, unity and creative expression; represents higher knowledge and wisdom gained through meditation and prayer. 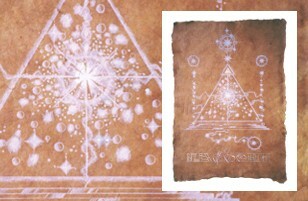 The images symbols must be intuitively deciphered, they cannot be decoded or understood through the lower mental body. Do not print or copy without Bryan’s permission. Ideas for Placing the Accelerator Images in Your Space! There are many ways to utilize the accelerator images in your space. 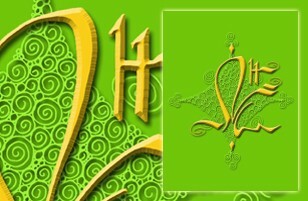 You can place them together on a wall or table…or configure them on a refrigerator or window. The images work best in combinations…let your intuition & instincts be your guide. Enjoy and have fun! Combinations of three or more accelerators work best to enhance the activation, healing and transformational properties contained within the images. All sets listed below are available with just one click, on this page! Manifestation and Financial Prosperity: New Financial System #33, The Magic of Saint Germain #53, Money Magnet #101, Money Tree of Life #185, String Magic #278, Infinite Possibilities #299. Activation of the Third Eye and Intuition: Piercing the Jewel #79, Sirian Pearl #121, Third Eye Activation Template #133, The Oracle #57, Starseed #78, Secret Chamber #114, Contact #233. Inspiration & Creativity: Pleiadian Creativity Matrix #68, Starseed #78, Metatron’s Gift #80, Blue Starfire #126, Metatron’s Cube #226, Geometry of Divine Creation #274, Cosmic Star Shield #298. Remote Viewing / Exploring the Akashic Records and Other Realities: Physical Akashic Record Building #21, Tetras 2 #116, Building the Monuments of Mars #119, The Dream Accelerator #142, Magnetic Technology of Love #150, St. Germain’s Magic Castle #186, Holographic Sound Key #228. Healing (Physical, Mental, Emotional and Spiritual): Lightwave Healing Matrix #67, The Living Temple #70, Science of Miracles #71, Energy Healing Symbol #73, Geometries of Light Angelic Chakra Grid #82, Solar Disk #90. Entry into the Higher Etheric Initiation Temples: The Awakening #12, Transformation of the Pyramid #29, Seven Golden Melchizadek Temples #44, City of Telos #47, Energy Blueprint from Shamballa #156, 5D Human Neural Network #191, Unveiling the Mysteries: The Sri Yantra #225. Enhance or Activate Spiritual Gifts& the Third Eye: Spherical Time Blueprint #56, Pleiadian Symphony #66, To a Point of Clarity and Focus #77, Pleiadian/Sirian Downloading Matrix #171, Fairy Godmother #188, 5D Human Neural Network #191. Connection to the Celestial Hierarchy: Through the Looking Glass #2, Robes of Light #31, Gridworkers #74, Metatron’s Gift #80, I AM GOD #93, Archangel Gabriel #172, Ashtar Command Starships #215. Elemental Magic: Silver Wings of Creation #102, Spirit of Fire #103, Fascination #130, Credence #131, Stay the Path #132, Chocolate Devas #155, Birdsong Alchemy #206. Lightbody Activation: The Template of Understanding #9, Christ Acceleration Codes #24, The Living Ankh #81, Energy into Matter #83, Ichor Codes #177-179. Emotional Balance: Pillars of Hercules #5, Creation of Life #43, Emotional Body Matrix #88, Balancense #106, Unveiling the Mysteries: The Flower of Life #224, Land of a Thousand Suns #231. Enhance Spiritual Power and Strength: Earth Logos #45, Geometries of Light #82, Sword of Light & Truth #92, Fire in My Heart #98, Blue Starfire #126, Mission Accomplished #148, Golden Fireballs of Creation #187. Promote, Enhance and Balance Relationships: Double Happiness #22, Heart of Mary Magdalene #59, The Flower of Love #72, The Divine Element #95, Silver Wings of Creation #102, Blessing from the Stars #189, Celestial Convergence #223. Planetary Assistance: The New Pyramid for Earth #14, The Living Temple #70, The Flower of Love #72, The Gridworkers #74, Blue Starfire #126, Stay the Path #132. Enhance Brain Capacity & Genius Skills: In-Sight-Lemurian Stargate Remote Viewing Template #27, Balancense #106, 5D Human Neural Network #191, The Andromedans #308, The Timmers #311. Enchance Business: The New Financial System #33, To a Point of Clarity and Focus #77, Goal Achievement/Money Magnet #101, Array of Light #104, Seven Generations #152, Energize My Day #203. Enhance Creative Designs, Projects & Plans: The Divine Element #95, Pleiadian Light Matrix #123, Blue Starfire #125, Merlin’s Alchemical Grid #144, Geometry of Divine Creation #274. Enhance Dreams: Science of the Celestial Bodies #10, Dream Accelerator #142, Fleur de Lys #162, Past Life Memory Activation from Atlantis #208, When you Wish Upon a Star #212. 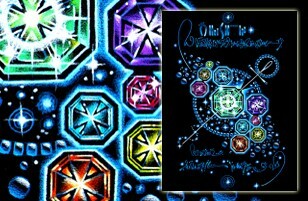 Enhance Musical Gifts: The Seven Golden Melchizadek Flame Temples #44, Pleiadian Symphony #66, Angel Seal #86, Holographic Sound Key #228, Music of the Spheres #282. Eternal Youth/Immortality: Indestructible Seed #58, The Ichor Codes #177 – #179, Fountain of Youth #184, The Chalice #194. Language of Light: Robes of Light #31, Sirian Astrological Text #111, Pleiadian Seed Crystal Transmission #158, Song of Gabriel #163, Archangel Series #172 – #175, The Divine Plan #227. 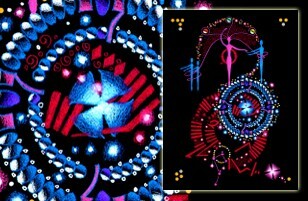 Medical Miracle Template Energizers: Song of Gabriel #168, Energize My Day #203, Land of a Thousand Suns #231. Public Speaking: To a Point of Clarity and Focus #77, Credence #131, Divine Voice Activation Circuit #181, Pleiadian Symbol Code Infusion #329. Safe Travels/Vacation: Protect the Castle #127, Lucky Charm #128, Fascination #130 Archangel Raphael #174, Time Travel #176, Ashtar Command Evacuation Transmission Signal #218. Sexual fulfillment: Temple of the Heart #15, Heart of Mary Magdalene #59, Celestial Convergence #223, The Sri Yantra #225, The Pleiadians #307. Higher Knowledge & Understanding: #27 Insight: Lemurian Template, #40 Tower of Light, #77 To a Point of Clarity & Focus, #90 Solar Disk, #319 The Pill. Time Travel & Bi-location: #8 Chronomonitor, #57 The Oracle, #176 Time Travel, #119 Building the Monument of Mars, #222 Calculation for Teleportation. Pet Healing & Animal Communication: #42 Animal Communication, #126 Blue Starfire, #168 Song of Gabriel, #204 Pet Healing Matrix, #298 Cosmic Starsheild, #300 Lyrian Genetic Star. The new Terra Christa stargate system encircles our beloved planet Earth and was designed through our consciousness in conjunction with the Ascended Masters, the Angels and the Galactic Brother and Sisterhoods of Light. 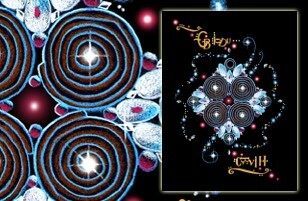 It is the new ascension gateway that will take us from Earth to Terra in the blink of an eye between 2012 and 2017. 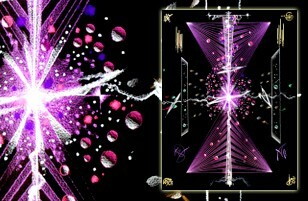 This new, etheral gate system is now fully operational and connected to all of the newborn star-portals on Earth including Ascension Island, Niagara Falls, Findhorn-Scotland, Meteor Crater, Paris-France, Hudson Valley, Buffalo Lake, Easter Island, etc. Placing this art-piece in your home will create an aditional gate portal from your personal living space through the new stargate to Terra…get ready to ascend! 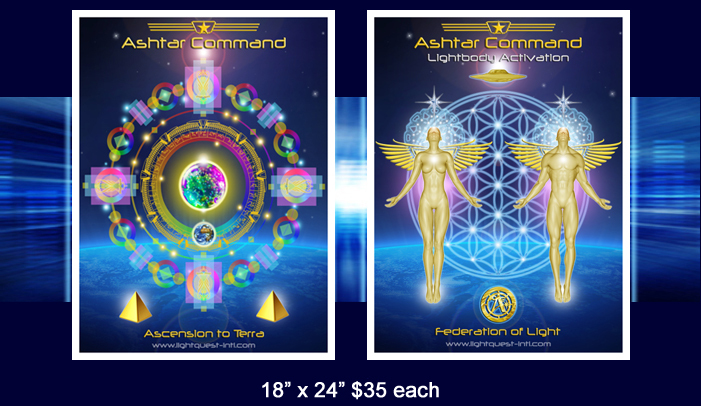 The Ashtar Command Lightbody Activation portrait brings into conscious reality the blueprint of your divine manifest self. It is the physical, universal representation of your soul essence without the distortions of duality. When one can see and experience the image of their real self it acts as a focus and catalyst for manifestation. If one connects with this Lightbody portrait each day, a profound change begins to manifest in one’s body, relationships and entire reality. This stunning portrait acts as a bridge which assists you in remembering who you truly are and why you are here. This opens new doorways and possibilities into the future and beyond…it is an experience that is both magical and empowering. 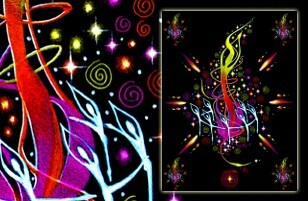 These unique art-pieces are printed on quality photo-gloss paper and can be framed or mounted as is. The posters are shipped in a heavy-duty, first class mailing tube.